iSolve has announced an agreement with GoTo Auctions that will drive auction listings and sellers of surplus inventory to the iSolve web site. GoTo Auctions recently launched its ChannelFusion Network partner program, it provides companies with the ability to utilize online auctions to liquidate overstocked inventory or open a new sales channel. "This is a win-win for business buyers and sellers worldwide. We're broadening the range of surplus offerings, and at the same time tapping a new sales and distribution channel with online auctions," declared Stuart Kessler, COO at iSolve. "We'll offer sellers and buyers the opportunity to utilize corporate barter as a settlement option, giving them a new tool in their sales kit. At the same time, we're providing a platform for thousands of auction sellers, who will dispose of their excess assets through iSolve." Bartercard's new Hong Kong web site has just been launched, www. bartercard.com.hk...and Bartercard Hong Kong Limited was awarded this year's Business Innovation Award by Charles Goode, Chairman of ANZ Bank, in a gala ceremony held at Hong Kong's Grand Hyatt Hotel. Bartercard was chosen for its recent developments in e-commerce and for continuing to grow its successful business in Hong Kong, with more than 300 businesses now part of the expanding Hong Kong trade exchange network. With the closing of the books on fiscal 2000, Collie Christensen, president of ITEX Corporation, reported, "We have shown a complete turnaround and we anticipate profitable operations by the second fiscal quarter of 2001." Christensen also announced the appointment of Daniela Calvitti as chief financial officer. Calvitti comes to ITEX from Foundation Health Systems, a Fortune 500 company. "Her many years of public company reporting experience will enable our company to meet our goal of being profitable from operations by the end of the second quarter, 2001. She completes the management team which is now focused on expanding our broker network from 72 licensees to 150." 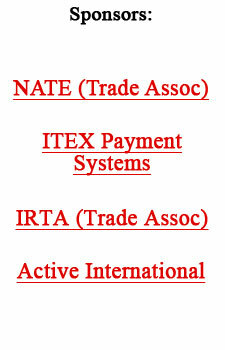 ITEX earned $1.45 million on revenues of $13 million for its fiscal year ended July 31, 2000. That compares to a loss of $10 million on revenues of $19.1 million in fiscal year 1999. "Get creative...and stop focusing on raising money from banks or venture capitalists." That's the advice Andrew Sherman is giving to cash-strapped entrepreneurs. Sherman, a senior partner at the law firm of Katten Muchin & Zavis in Washington (DC), is the author of a new book Raising Capital (Kiplinger Books, $34.95). Sherman says a new mind-set needs to be adopted which centers around managing your company's cash flow and resources. Start out by clinching strategic partnerships with others that can give you the resources--talent and marketing--that you need. The way to do so, subject to securities laws, Sherman contends, is to pay lawyers, accountants, ad agencies, and other service providers with equity instead of cash. Another benefit to such bartering efforts is that when these providers are part owners, they will have more loyalty to your company. eBay's record third quarter revenues came in above expectations. The company reported that advertising accounted for only 5% of revenues, and barter was less than 1% of the $113.4 million in sales. New CEO Philip L. Letts of BarterTrust said the number of Texas companies joining the BarterTrust Network has grown more than 300% since April. Letts didn't mention the number of companies that are now members of the barter organization while speaking at Business Place 2000, a conference organized by the Greater Dallas Chamber of Commerce. Ron Szekeres, President of Chicago's Art of Barter, is working with California-based online barter company BigVine. Szekeres recently hosted another BigVine event on Monday, November 6th, at Chicago's Boulevard Cafe. BigVine is investing time, money, and trade dollars to teach Art of Barter clients how to barter online through BigVine. Cox Radio, the fourth largest radio company in the U.S. based on net revenues (64 FM and 17 AM stations), has formed a new unit to focus on its new media opportunities and manage its internet assets. The new Atlanta-based division will be called Cox Radio Interactive (CXRi). Gregg Lindahl, the former President and COO of mp3radio.com, will serve as the division's vice president reporting directly to Robert F. Neil, Cox Radio's President and CEO. In addition, Cox Radio announced that it is continuing its strategic relationship with Cox Interactive Media, whereby the two companies will promote each other in their common markets. CXRi will assume day to day management of Cox Radio's web sites and internet commercial inventory beginning in January 2001. Stock for your decision...that's what Cisco Systems is offering to some 1,300 interns who worked for the Silicon Valley company. They will receive 500 stock options for returning to Cisco after graduation. Vanguard Airlines pro-bartering decisions (to move empty seats) looks good given their load factor which fell to 56.9% in August, from 68.6% of a year earlier. AOL and Charles Schwab Corp. have formed an alliance that has barter overtones, as AOL users will have access to Schwab.com and to Schwab's web-based investment tools. And Schwab will become a "premier" financial-services company across AOL's redesigned personal-finance channels, giving the financial-services company access to the millions of people who use AOL. Two competitors are bartering with one another in the cut-throat wireless industry. Cingular Wireless and VoiceStream Wireless, in a bid to expand their network coverage, will trade wireless spectrum in significant markets. Each company is exchanging licenses covering about 35 million wireless customers. Cingular will acquire some of VoiceStream's spectrum in the coveted New York market, as well as Detroit and St. Louis. In exchange, VoiceStream will get some of Cingular's spectrum in Los Angeles and San Francisco.